It is a hot summer afternoon. The sun’s warmth is waning as dusk settles over a camp in the vicinity of the Baghdad International Airport. This camp is ironically called “Liberty.” The six-foot-tall concrete walls encircling the camp block out the horizon, depriving of the beautiful sunset for which the Babylon has earned fame. The camp that was supposed to be a temporary transit location has been my home for the past three years. 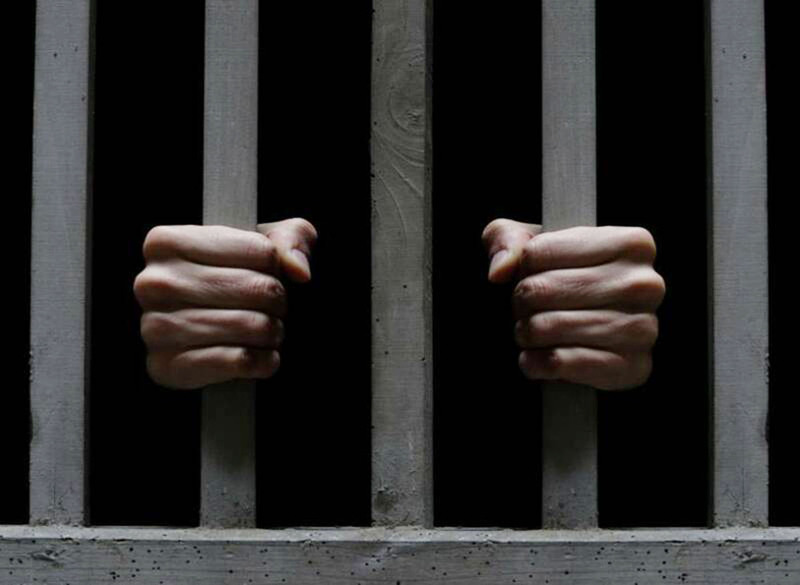 This place is a reminder of the prisons of the Iranian regime, where I spent four years of my life on charges of reading the “Mojahed” newspaper and believing in the ideals of freedom and democracy. Inadvertently, old memories flashback in my mind and my thoughts take me back 35 years, when following the fall of the Shah regime, I joined the People’s Mojahedin Organization of Iran (PMOI) to protect the achievements of the people’s revolution against the newly-established religious fascist regime. It wasn’t before long that the “Spring of Freedom” turned to fall and a wave of repression even harsher than that of the Shah regime started, carried out under the name of God and religion. I was arrested by Khomeini’s Revolutionary Guards (IRGC) without having committed any crime, and I was put under the worst kind of pressure and tortured. Even after so many years, I bear the scars and suffer from the residual effects. The mullahs’ savage, fundamentalist regime proved to be the enemy of freedom and democracy, and waged war against the very people of Iran, starting with universities and groups that advocated freedom and democracy. In one of his speeches, Khomeini said, “All of our suffering comes from universities and those who have gone to universities.” He described universities as the emblem of the enemy. The machine of suppression had begun its work at full force. In every neighborhood, front-loaders and cranes, devices used to build homes and lives, were mounted with nooses and were being used to destroy lives. All my dreams destroyed, I found the only solution in coming to Iraq and joining the freedom fighters of the PMOI in Camp Ashraf. But Iraq itself became the subject of troubling events and developments, and the Iranian regime managed to expand its influence to the extent that the security apparatus of the government of Iraqi Prime Minister Nouri Al-Maliki fell under the complete control of the Iranian regime’s terrorist Quds force. I and other residents of Ashraf had previously been granted the status of “Protected Person” under the “Fourth Geneva Convention” by the government of United States. But the trouble started when the U.S. government decided to turn our security over to the Iraqi government, and our legal status and security became endangered. In the beginning, we, the residents of Ashraf, showed our full good will to our new “protectors” and tried to establish the same relationship that we had with American forces that previously protected the camp. But from the very start it seemed that Maliki’s forces had evil intentions toward us, a fact that became evident during the Iraqi forces raid against Camp Ashraf in on July 28-29, 2009. On that day, I was driving on Ashraf’s main street when I suddenly came upon Iraqi forces that had tore through the camp’s eastern perimeter and had reached Tulip Square in the camp’s center. The Iraqi’s forced me out of my car and beat me violently. I was severely wounded and later had to go through several surgeries. Had my friends not intervened, the Iraqis would have abducted me and taken me as hostage. At length, the United Nations signed an agreement with the government of Iraq, and trusting on the wisdom and promises of the UN, I accepted to leave Ashraf and come to a temporary transit location called Camp Liberty. Never did I think that here too the rockets of the Iranian regime and Maliki’s forces would find me. It seems inconceivable that a host country attacks refugees in complicity with the government from which they’ve fled. Indeed the gift of Islamic fundamentalism to every country in which it advances is chaos, violation of international norms and laws, and the trampling of all human values and achievements. On the dawn of February 9, 2013, while I was resting in my trailer in Camp Liberty, a sudden wave of successive explosions woke me up. The camp was under rocket attack. I was injured again as a struggled to find safe shelter, and my ribs were fractured in two locations, and I suffered from breathing difficulties for many months. I was also injured from shrapnel wounds to my foot, but due to the medical siege imposed against the camp and the limitations in the camp’s clinic, I wasn’t able to receive treatment until the next day. Consequently I had to endure the pain for a long time and, my toe – which became apparent was broken – was mended crookedly due to lack of proper treatment. Even though a long time has passed since that event, I still suffer from the effects. Camp Liberty spans over a very small area, which makes it an easy and suitable target for our enemies. What’s more, Maliki’s government has done everything within its power to make us more vulnerable to the terrorist attacks of the Iranian regime and his own forces. His agents and forces prevented us from bringing our protective helmets and vests from Ashraf. Ahmad Rahbar is a resident of Camp Liberty who spent many years in the dungeons of the Iranian regime as a political prisoner.